Clinical manifestations of skin fibrosis are very variable and ambiguous, making its management quite critical and challenging. The lack of appropriate established pharmacological interventions make its treatment even more complicated. Intricate details of the underlying pathogenesis are thus imperative to further explore different treatment possibilities. Of note, the TGF-β/Smad signaling axis and epithelial to mesenchymal transition (EMT) are the principal offenders in this fibrotic disorder. 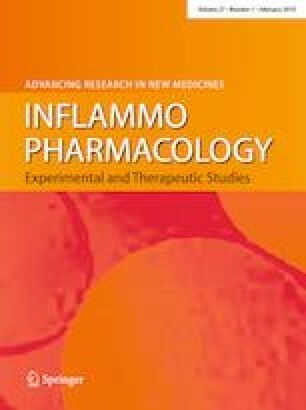 Our current study is aimed at demonstrating the antifibrotic and anti-inflammatory potential of nimbolide, a triterpene derived from Indian traditional plant neem, in a murine model of Bleomycin-induced scleroderma. Male C57BL/6 mice were administered with Bleomycin injections subcutaneously, daily for 28 days, at a constant site on the dorsum of the mice. Treatment with nimbolide lasted from day 1 to day 28. At the time of study termination, the injected sites were collected and stored suitably to conduct further molecular experiments and protein expression studies. The results of our study show that nimbolide can significantly intervene in the TGF-β/Smad signaling axis and the consequent EMT process, thus attenuating deposition of extracellular matrix. Nimbolide also profoundly caused the regression of established inflammation-driven fibrosis, thus demonstrating both antifibrotic and anti-inflammatory activities. Another commendable finding of this study is that nimbolide was able to decrease the levels of LOXL2, a collagen cross-linker, which is aberrantly expressed in scleroderma. Although further mechanistic studies are required, our study displays nimbolide for the first time as a potent antifibrotic agent which can be used as a pharmacological intervention for the treatment of scleroderma. Snehalatha Diddi, Swarna Bale contributed equally to this work. The authors acknowledge the Indian Institute of Chemical Technology (CSIR-IICT), Hyderabad, India, for kind support and technical assistance. This study was supported financially by the Department of Pharmaceuticals, Ministry of Chemicals and Fertilizers, Government of India. The authors would like to thank the Department of Biotechnology (DBT), Govt. of India, for the financial support to Dr. Chandraiah Godugu via a North East-Twinning Grant: MAP/2015/58, an Indo-Brazil Grant: DBT/IC-2/Indo-Brazil/2016-19/01 and a DST-Science and Engineering Board-Early Career Research Award (SERB-ECR) Grant: ECR/2016/000007.